In my new series, I’m going to share online “treasure” with you. Chick Clicks are links to wonderful articles, recipes, projects and more—all online and all (hopefully) helpful to you as a family-oriented mom and wife. I’m looking forward to shining a spotlight on other fabulous blogs and websites written by moms (chicks) just like us, with words of wisdom, helpful tips and tricks that I have personally found useful. Blogs form a great network of resources! I was telling Karen about an amazing recipe for refried beans that I discovered, and she thought it would be the perfect first Chick Click to share in honor of Cinco de Mayo. So here goes! Are you familiar with the 100 Days of Real Food website? I have found some really great recipes there. Lisa Leake started the blog/website when she and her family pledged to go 100 days without eating any highly processed or refined foods including white flour or sugar. They made this decision to draw attention to our society’s dependency on processed food. So, the recipes are very healthy and use only real food ingredients. 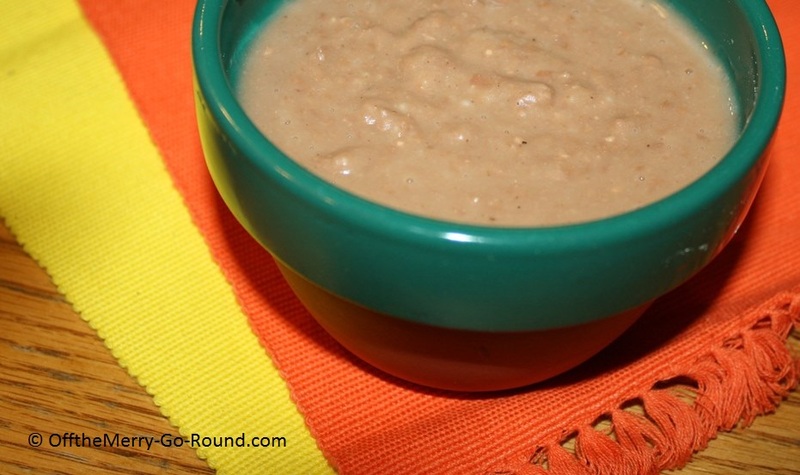 Her refried bean recipe is one of my favorites because it’s inexpensive, easy and delicious. In addition, it also freezes well. Beans are super high in protein, iron and fiber, which make them the perfect option for “Meatless Mondays” if you follow that trend. Or serve them alongside your favorite taco recipe for the perfect side dish today, to celebrate Cinco de Mayo. Ole! So without further ado… here is my first Chick Click! 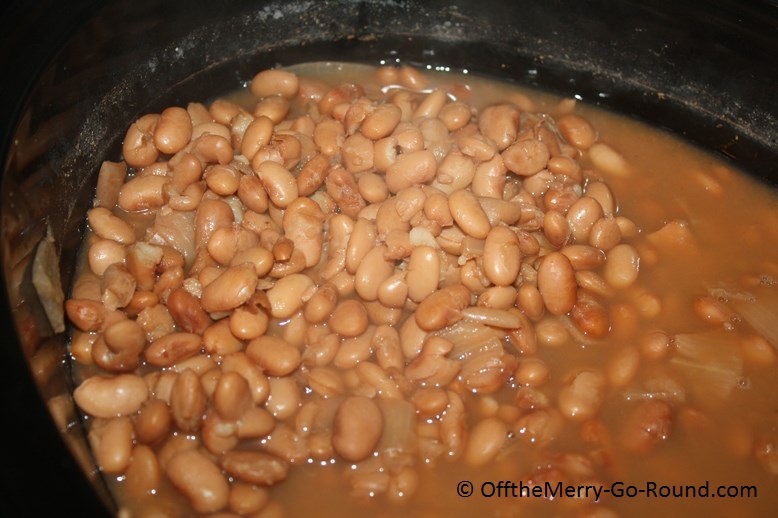 The recipe uses dry beans that are normally soaked overnight prior to cooking. However, according to the recipe, this step may be eliminated. 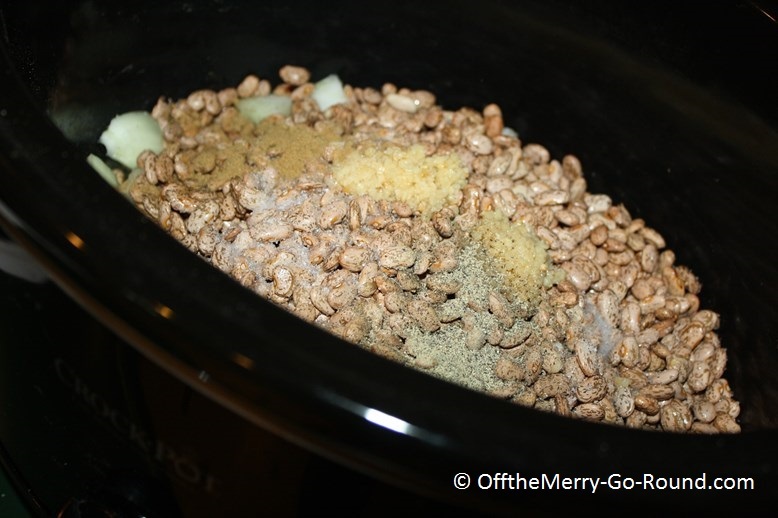 As a side note, I still like to soak dry beans for at least 24 hours and for nutritional reasons that you can read about here, in a bonus Chick Click from the Healthy Home Economist. I highly recommend soaking your pinto beans overnight, first. Load all of your ingredients into your handy crock pot. It is a busy chick’s best friend! 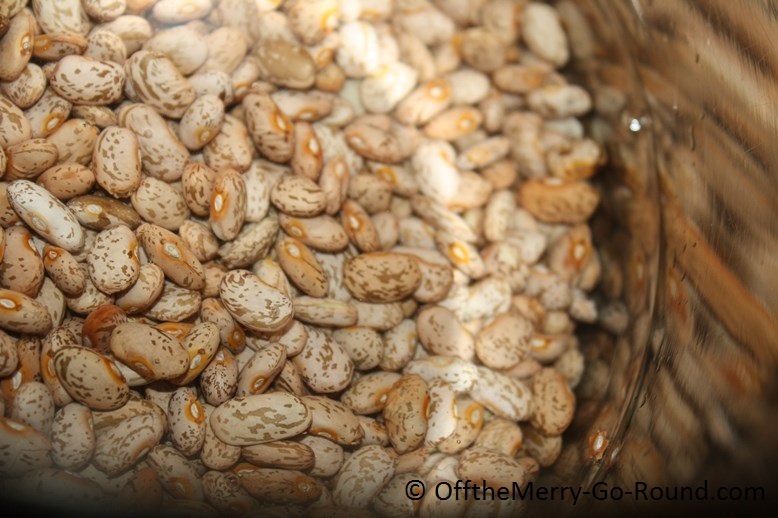 This is how the beans will look when softened and ready for mashing. And presto… time for a fiesta!